Update 1.2 of The Division hits tomorrow and Ubi has revealed even more of what's coming. Alongside a new Incursion and gear there's a stack of new gear sets and loot is getting a serious overhaul. In a post on the official sitethe dev team says it wants to move away from using crafting as the main source of end game gear. "With update 1.2, we want to add a layer of consistency between activities so you can obtain stronger gear from the content that you enjoy the most," says the post. "We want to make loot more fun! 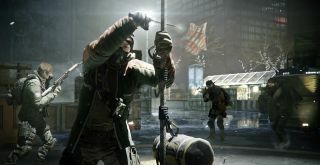 To do this we will be more generous overall, provide clear progression steps, allow more diverse gameplay options to obtain the best loot, and make the Dark Zone more consistent to the Gear Score of the player." You can read the full breakdown here on the official post but this is definitely a big step forward in terms of getting the loot you actually want without scurrying into the crafting menu. On top of all this is four extra gear sets arriving tomorrow. Hunters Faith, Lone Star, Final Measure and Predator's Mark will be adding to the current selection. Hunters Faith will net you an extra 20% of critical hit damage with the marksman rifle and 20% extra damage to elites, while Lone Star will boost your ammo capacity by 100% and up your LMG and Shotgun Damage. It's also got the ability to regain all your ammo when you holster your weapon. Handy.